"Creating the future of Play"
Ranked number 387 on the Fortune 500, Mattel has been producing products and brands that have helped shaped childhood memories since 1945. For over fifty years Barbie has been an important figure in the toy fashion doll world. Monster High, a newcomer, has become one of the fastest growing product lines at Mattel, growing to over $500 million in sales over the past three years. I had the pleasure to work on both lines. The Barbie Designable Hair Extensions product allows anyone to create awesome personalized hair extensions and print them out using any inkjet color printer. 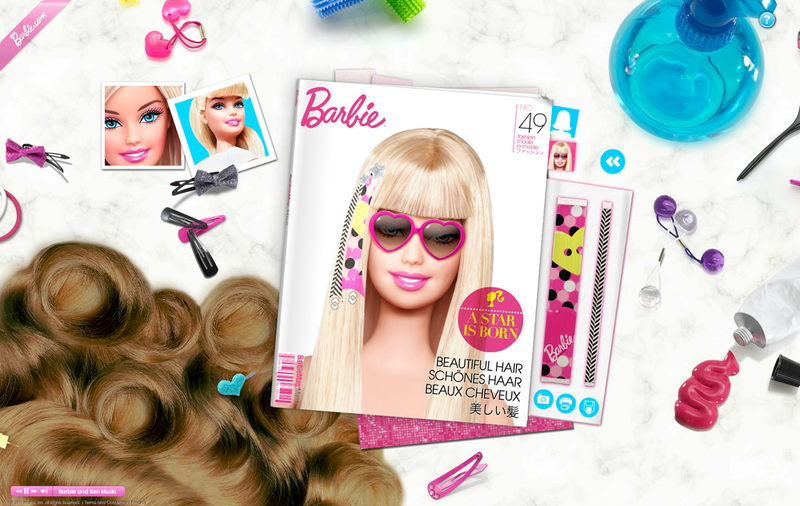 The kit comes with 16 customizable hair extensions, a Barbie doll, and six barrette clips. We designed and developed the online design tool for the physical product. At the early peak of the Monster High brand we created a unique iOS/Androd app that allowed fans of the product line to explore the world of the Monster High School by exploring whats inside each characters locker. Audio, video, customization of photos and zombie voice translation were all part of the experience.